You may be suffering from mould in your apartment or house. In most cases this is caused by an excess of moisture in the air. This can be caused by poor air circulation and the fact that buildings now have good standards of insulation. Moisture builds up through the use of washing machines, cooking and showers. It`s even caused by simply breathing. Excessive condensation can be reduced with the aid of dehumidifiers. We can provide a free survey to find the cause of your mould problem. 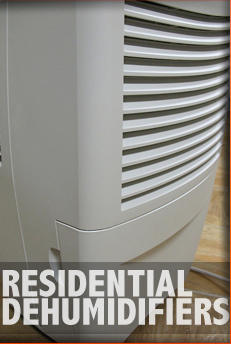 If it`s found to be condensation we can supply a residential dehumidifier. These are manufactured E-Bac and can be purchased from us at the best prices in Ireland. We can deliver these to you at no extra cost.